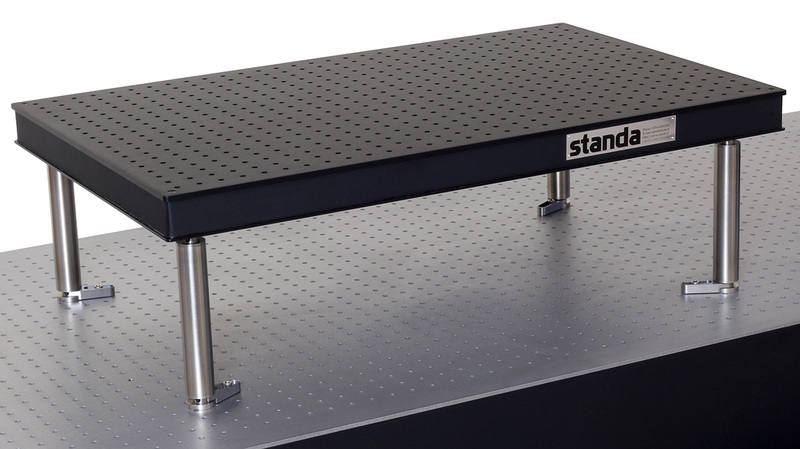 Standa technologies allowed to introduce all aluminum honeycomb optical breadboards with black top surface anodizing which significantly decreases backscatter for any optical setup mounted on such breadboard. Together with sufficient stiffness and flatness those breadboards have >10% lower weight than solid aluminum breadbords of 1BL series and are almost 3 times lighter than stainless steel honeycomb optical breadboards series - 1HB. 1HB-AL breadboards are ideal for optical setups and are good for portable systems also are great for applications in the environment where non-magnetic instrumentation is a necessity. Get to know more about types of breadboards in 1 minute video.